I love making art and facilitating others in engaging their own unique creative process. I’m fascinated with bringing the inner realm into outer expression and I think that’s what makes making art so special...getting to hang out on the bridge between something not manifest and something evolving into physical form. With any luck, some of that mystical place will reach out from the painting and touch you...maybe even transport you to a place where no words are necessary. That’s my deepest hope anyway. 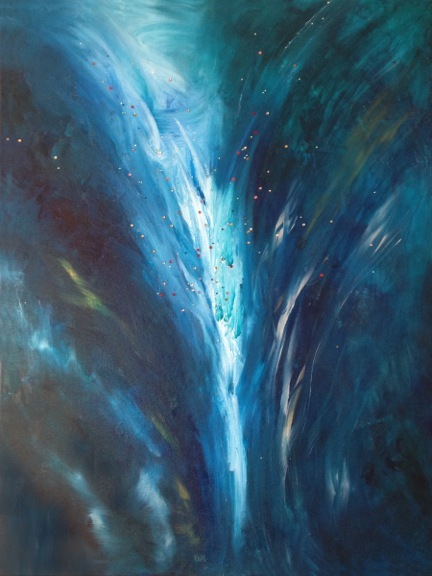 Someone once described my paintings as “gently flowing with tremendous force.” I like that. I’m on a mission to bring a little more beauty and enchantment into the world, so thank you for letting them flow into your space!